Ahead of the November launch of its new 500 Series Standard Cab, Hino has confirmed that Vehicle Stability Control (VSC) will be fitted as standard equipment to support the most comprehensive active safety package ever offered by a Japanese manufacturer in the medium duty market. 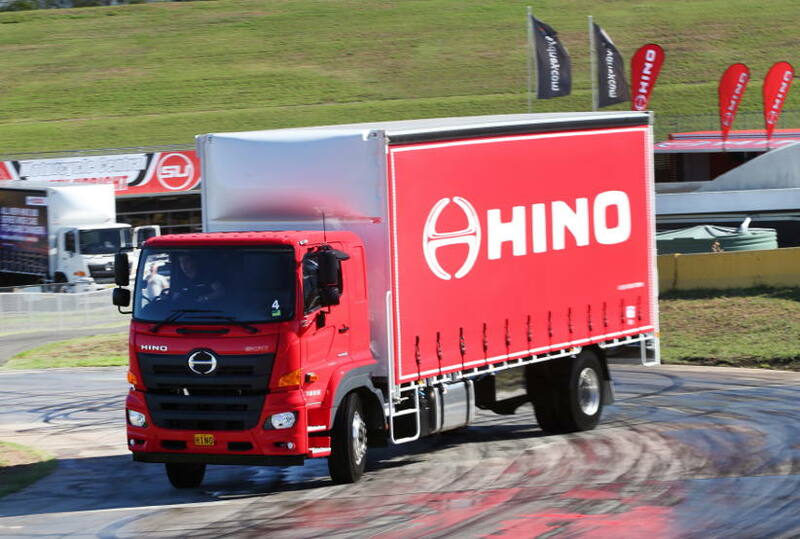 Hino led the Japanese truck manufacturers in fitting VSC as standard to its entire 300 Series range in 2011, and this was extended to the launch of its 500 Series Wide Cab in 2017 and the 300 Series 4×4 in 2018. With today’s confirmation of VSC’s fitment to the in-coming 500 Series Standard Cab, Hino will now be offering it as standard safety equipment on every model from its 300 Series car licence through to the 500 Series 6×4 350 horsepower FM models. “Very different trucks and very different applications, but the effectiveness and safety benefits of Vehicle Stability Control made the decision to fit VSC to the new 500 Series Standard Cab a very simple decision,” said Daniel Petrovski, Hino Australia’s Manager of Product Strategy. Along with VSC, the all-new Hino 500 Series Standard Cab active safety package will also include other features seen on the 500 Series Wide Cab, such as UN ECE R29-rated cab strength, a driver SRS airbag, ADR84/00 Front Underrun Protection (FUP) and Easy Start. “And that’s just the start – these street smart new standard cab models will offer safety features never before seen in Australia from a Japanese manufacturer,” said Mr Petrovski. Full Australian specifications and pricing of the all-new 500 Series Standard Cabs FC, FD and FE models will be available in late November 2018 at dealerships nationwide and online at hino.com.au.